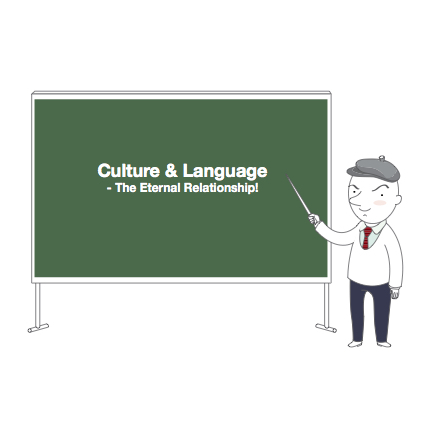 Culture & Language - A Happy Marriage! Understanding how language and culture are connected is very important for language teachers. This is because one's culture and language not only effects the way we teach, but also the way students engage with the langauge (with research showing that students who are interested in the target language culture - or at least elements of the culture - often display a greater desire to learn). For this reason, teachers need to know how to help students understand not only the language, but also how our culutres (both the teacher's and students') impact the language learning environment. Two Languages Affords Us Two Ways Of Seeing The World - And That's Awesome! In regards to language, culture is found in the slang we use, the fairytales we tell our children, the proverbs and morals we teach, in our similes and metaphors, it’s used in jest, it’s in common sayings and sacred texts. It is also evident in our non-verbal communication and body language. From the way we shake hands to the way we dance. As you can see, the happy marriage between language and culture is all around us. The trick is, however, getting the right balance between teaching a language while incorporating culture. Too much focus on culture and you run the risk of cultural imperialism, not enough, you run the risk of leaving out the essence of language and having boring classes. The solution - at least a partial solution: Develop classes that appreciate and explore the cultures of both teacher and student via the use of the target language. This allows the student to become the teacher and the teacher to become the student. Question your cultural assumptions: To truly be an effective educator you must question your worldview. You must question the way you see things and put yourself in the shoes of your students and understand their views and perspectives. Who knows, maybe the way you see the world is just one way of seeing the world. By opening our eyes, we can learn more and become better teachers (and dare I say it, better people). Learning how to blend culture and language into your classes is very important. Take the time to think about how culture and language impact language teaching and learning.